Adds velocity graphs to Maya’s Graph Editor. Useful for analyzing your motion. 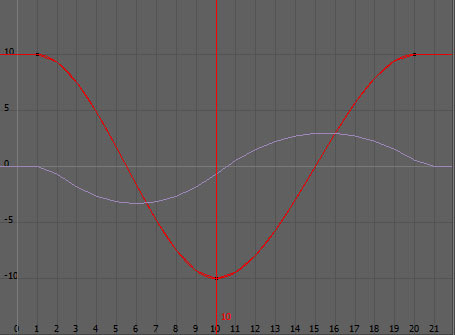 It makes velocity graphs for all keyframes and expressions in the Scene. Make a shelf button for this and use it to toggle velocity graphs on or off in the Graph Editor. The velocity channels are expression-driven so you have to select the velocity channel in the graph editor to see it and you sometimes have to zoom or pan a little in the graph to get it to update. This does not make velocity graphs for Alembic… that was too difficult and is not really needed if you’re using it while creating animation. Converts any Unix path to Windows. Converts any Windows path to Unix. This tool automatically renames nodes by finding and replacing text within the names of the nodes. Select some nodes (or objects) and then run this script. A dialog box will appear, containing text fields for what to “Find” and what to “Replace” it with. This tool automatically renames and numbers nodes by giving them a base name and a number at the end of the name. Select some nodes (or objects) and then run this script. A dialog box will appear, containing text fields for the “Base Name”, “Starting Number” and “Padding” (number of digits to use). Randomize the positions of all selected objects. A dialog pops up asking you how much you want to randomize. This is the maximum distance you want any object to be moved. The default is 1.0 if nothing is entered. Sometimes when writing a Python script you may need to find the “root” or “highest level” parent object(s) for a given set of objects. Here’s a way to do that. Sometimes when writing a Python script you may need to find the immediate or “next level up” parent object(s) for a given set of objects. Here’s a way to do that. This will randomly re-order the current selection. Useful when you need to apply a Maya command using the selected objects in a random order. This removes any unknown nodes that might be left-over from plugins that aren’t installed anymore. It deletes all the unknown nodes from your scene file, even if they’re locked. After deleting, it confirms that all unknown nodes have indeed been deleted. Or, if there aren’t any unknown nodes in the first place, it lets you know. This script dissables thumnails in the Hypershade view. Handy if you have a lot of shaders who’s thumbnails are making Hypershade take a long time to draw. I keep this as a shelf button along with one for “Enable Hypershade Thumbnails” (see below). This script enables thumnails in the Hypershade view. I keep this as a shelf button along with one for “Dissable Thumbnails” (above). This script sets the filtertype for all file nodes in the scene to “Mipmap”, which is a higher quality filtering method than the default “Quadratic” method that filenodes initially come with. This script un-sets the “opposite” attribute for all selected objects. The “opposite” attribute gets set when you Freeze Transformations on an object that has negative scale. Rather than leaving the “opposite” attribute set when this happens (which can cause complications later), I prefer to un-set the “opposite” attribute and reverse the object’s normals. Run this script to replace the path of every File node in the scene with a relative path, retaining the part of the original path that comes after “sourceimages”. This is handy when moving a lot of textures from one Maya project folder to another. # retaining the original path after "sourceimages"
Run this script to replace the entire path of each selected File node with a new relative path. Adding an optional sub-folder. Unkike the “Make File Node Paths Relative” script above, this script defaults to only working on selected File nodes, so you must select the File nodes who’s paths you want to change first, before running this script (unless you enable the option to work on all File nodes in the scene, see below). To add an optional sub-folder, un-comment (remove the # at the beginning of) the line of code that adds the optional sub-folder, and replace “optional_new_subfolder” with the name of the sub-folder you want to use. Be sure to keep the single quotes and the forward slash. To have this script work on all file nodes in the scene, un-comment (remove the # at the beginning of) the line of code that adds the option to replace all File nodes in the scene. This is handy when moving textures from a project folder that doesn’t have the textures organized the way you want them, into a new project folder that does. For use with Mental Ray: This script adds a new attribute called “miFinalGatherHide” to all selected geometry objects, and enables it. This causes the objects to be “hidden” from Final Gather as sources, so so the objects neither block Final Gather rays nor cast them. However, the objects will still recieve final gather rays. This is very useful when you need to have one or more objects be visible in the scene but not block Final Gather. For example, a wall could have Final Gather light sources behind it, casting light through it onto other objects, or even onto parts of the same wall (i.e. if the wall is curved). Note: I often use sys.stdout.write instead of Python’s native print command because the print command doesn’t show in the prompt box in Maya.